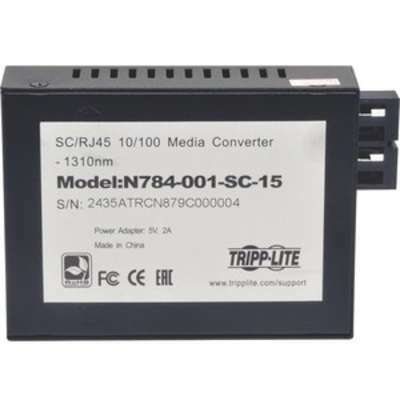 Tripp Lite's N784-001-SC-15, 10/100 to Singlemode Media Converter ( RJ45 to SC ), is an economical way to extend the distance ( up to 15kM ) of network nodes by converting Cat5e UTP cables to Singlemode Fiber Optic. 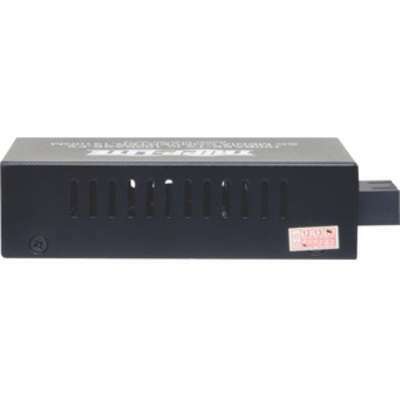 The Media Converter features automatic MDI/MDI-X configuration, and the UTP port senses the network speed automatically as well. 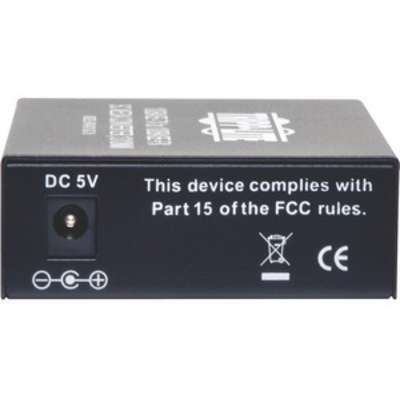 Auto-detects half or full duplex operation on the fiber port. 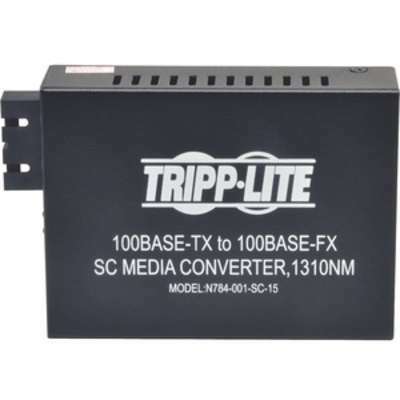 Power supplied by small form factor AC adapter.